Xue Long (Snow Dragon) is by all accounts the most famous ship in China: The distinctive red hulled vessel charged with turning China's Polar ambitions into reality and propelling this rising superpower to the edges of the Earth, in the same way that it's nascent breed of astronauts are busy propelling it into space. With no operational air link to the Antarctic at this time, it isn't too much to say that Xue Long is the veritable backbone of the Chinese Antarctic Programme (CHINARE). Classified as a A2 class ice breaker (capable of breaking ice 1.2 metres thick), Xue Long was built at the Kherson Shipyard, Ukraine, in 1993, and originally conceived for cargo transportation in the Arctic. It was purchased by China shortly after its commissioning and modified slightly to turn it into a polar research vessel. With a length of 167 metres, a beam of 22.6 metres and a draft of 9 metres with 21,250 tons fully loaded, Xue Long is currently the largest ice-breaker operating in Antarctic waters. It is capable of sailing at 17.9 knots in open water, although its normal speed when fully loaded is closer to 13 knots. In the past two years, the vessel has been extensively upgraded in order to extend its service by another fifteen years. The old forecastle was removed and replaced by a brand new bridge and accommodations. Laboratory Xul space was also extended to 200 m2. New winches were put in for marine research, and it was equipped with brand new control, communication, and navigation systems, so that it now boasts one of the best automation systems of any ice breaker. In July-August 2008, within the context of the International Polar Year 2007-08, Xue Long undertook its third voyage to the Arctic. On board were an international team of scientists, including Jean-Claude Gascard, the Principle Investigator of the European funded DAMOCLES IPY research programme studying Arctic ocean-sea ice-atmosphere interaction in the face of global warming. During this 2009-10 Antarctic season, Xue Long is under the command of Captain Wang Jianzhong, a polar veteran with fifteen years service on Xue Long. Captain Wang first joined the crew of Xue Long as third officer in 1993, and has now been its captain for just over one year. Like his ship, he has seen a wave or two, and has come to know the Southern Ocean like no other. This Antarctic season, Xue Long left its home port of Shanghai on the 20th of October and is due to return on the 10th of April. In between, it is scheduled to complete two return journeys from Australia to Zhongshan station in Antarctica. Carrying 40 crew and up to 120 Antarctic research and logistics personnel on any given leg, it will also transport three to four thousand tons of cargo throughout the region, and serve as a scientific platform for three teams of oceanographers and marine biologists who will carry out samplings and measurements at regular intervals along the ship's course. With some 2,800 nautical miles separating Zhongshan station from the Australian ports of Freemantle and Melbourne where it will be calling, each one-way journey will take approximately 10 days of navigation through what are some of the roughest and windswept waters on Earth - a proper test of endurance for ship, Captain, crew, and passengers. 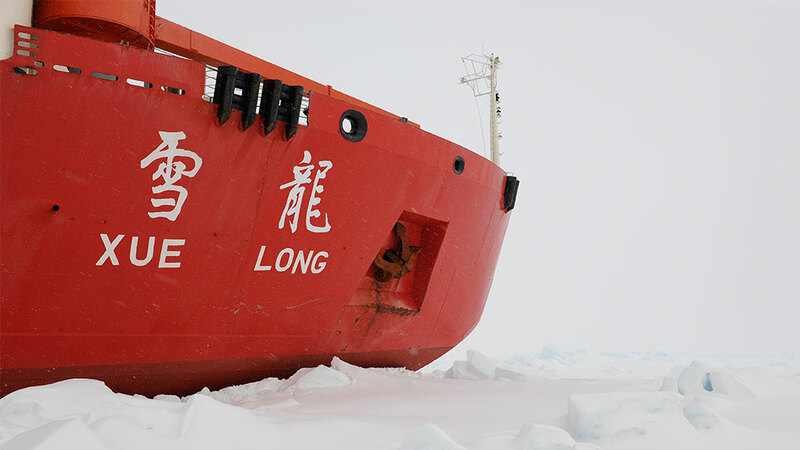 Xue Long is the veritable backbone of the Chinese Antarctic Programme.